Idaho’s “60 percent goal” defines a target, while trivializing the challenge. In trying to convince high school graduates to stay in school, Idaho is seeking to create new family histories and establish new community beliefs. In rural communities, career-technical education is often seen as a complement, or a counterweight, to the push to college. But schools often struggle to find qualified CTE teachers, or provide a full slate of course offerings. In Idaho, it is impossible to confront the issues of college enrollment, and college completion, without staring straight into the eye of college affordability. Hitting the ’60 percent goal’ won’t just take work. It requires a transformation. 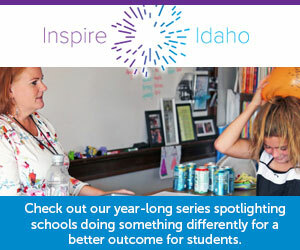 Idaho’s most ambitious and most talked-about educational goal runs headway into hard realities. Rooted in economics. Rooted in geography. And rooted in culture. In grades 6-8, an average of less than 58 percent of Idaho students are engaged in the classroom, according to a new SDE survey. Ybarra responded by saying she works hard and it is good that lawmakers want more interaction. Hispanic families are becoming Idaho residents because of growing job opportunities and better educational programs for their children. Educators are adjusting to the growth. The most-recent state data reveals inconsistencies in reports tied to major $125 million pay initiative. Parents, educators and stakeholders turned out in large numbers to support education programs.